Borough voters roundly rejected a bond measure to pay for a new school in Kachemak-Selo during municipal elections Tuesday. 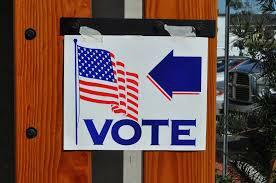 It's municipal election day in the Central Kenai Peninsula, and there are plenty of choices on the ballot. Or not as many, depending on where you live. 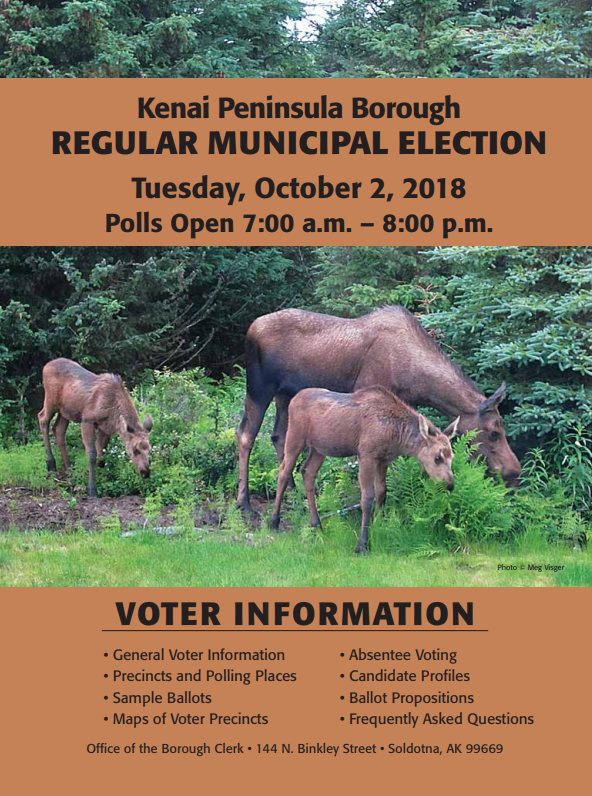 For example, both Kenai Peninsula Borough Assemblymen Brent Hibbert and Kenn Carpenter, representing Districts 1 and 6 respectively, are running for reelection unopposed. Willy Dunne is the only one of the three assemblymen with a challenger -- the Homer assemblyman faces Troy Jones in District 9. A race for the school board in Sterling and Funny River is one of the most contested in the upcoming municipal election. Four people are vying for that one seat. 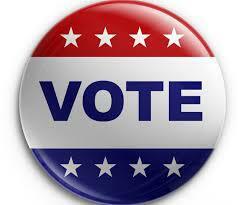 The District 2 — Kenai seat of the Kenai Peninsula Borough Board of Education is up for election. Incumbent Tim Navarre faces challenger Matt Morse. Navarre has held his school district seat since 2009, is also currently on the Kenai City Council, has served on the Kenai Peninsula Borough Assembly and was the chief of staff under borough Mayor John Williams. He is vice president of the family’s business, Zan, Inc., which owns the local Arby’s restaurants. Morse graduated from Kenai Central High School, went off to college in Fairbanks and returned to Kenai to work in the family business, Partner Management Recruiters South Central Alaska. 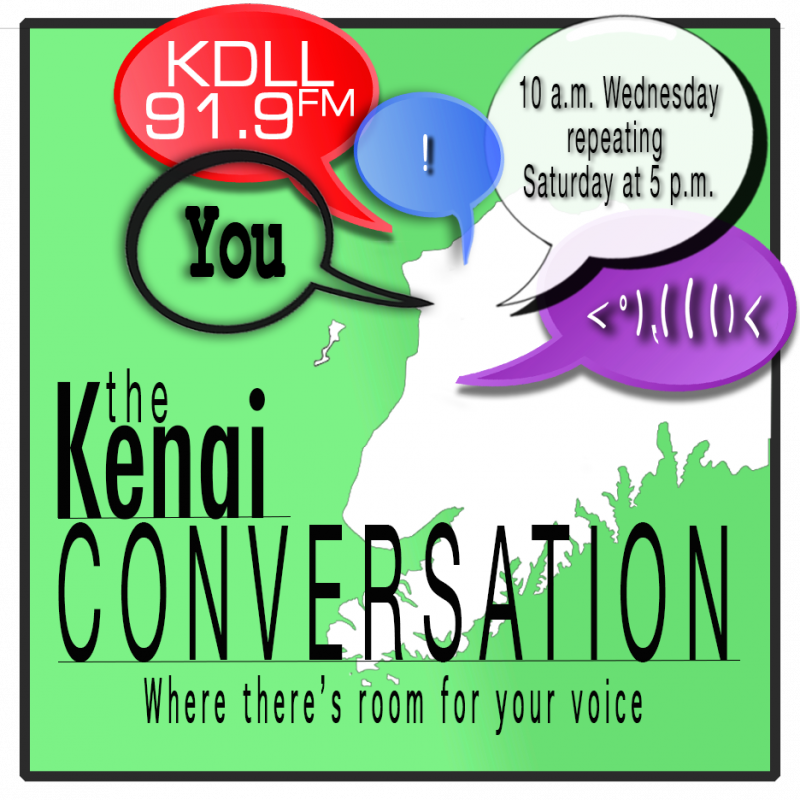 Election coverage continues on the Kenai Conversation. 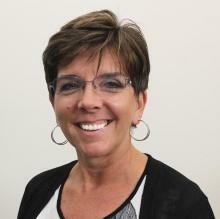 Host Jenny Neyman visits with candidates for the Kenai Peninsula Borough School District Board of Education. In District 2 — Kenai, Matt Morse is running against incumbent Tim Navarre. In District 5 — Sterling/Funny River, incumbent Marty Anderson has three challengers — Nissa Fowler, Greg Madden and Karyn Griffin. Anderson is out of state for work and was not able to participate, and attempts to reach Griffin have not been successful. This year Alaska’s largest telecom company has increased the amount of money it’s contributing to suicide prevention programs around the state. In a grant administered by the Alaska Community Foundation, 10 organizations around the state, including Kenai, will split the $130,000 from GCI. Last year the company launched the Suicide Prevention Grant Program with $100,000. Kate Slyker, GCI’s chief marketing officer, said the response then was overwhelming, and the company looks forward to an even larger impact this year. Students head back to class next Tuesday in the Kenai Peninsula Borough School District. Let’s get ready with a little math. At its Aug. 6 meeting, the Kenai Peninsula Borough School District Board of Education approved its fiscal year 2019 budget, which necessitated shaving about $523,000 from expenditures. Many of the line items represent vacant positions that will not be filled, with duties shifting onto other departments or personnel. This includes $115,500 for a purchasing supervisor, $29,000 in school administration and $120,000 for a district art specialist. Several school board members voiced heartburn over the loss of the art position. Econ 919: What is a 'fiscal year' anyway? On this week's edition of Econ 919, we take a look at the effort to fund the Kenai Peninsula Borough School District, and as the budget season draws to a close, we find out what a fiscal year is and why we have them. As the Kenai Peninsula Borough School District's academic year winds down, it's budget season is heating up. 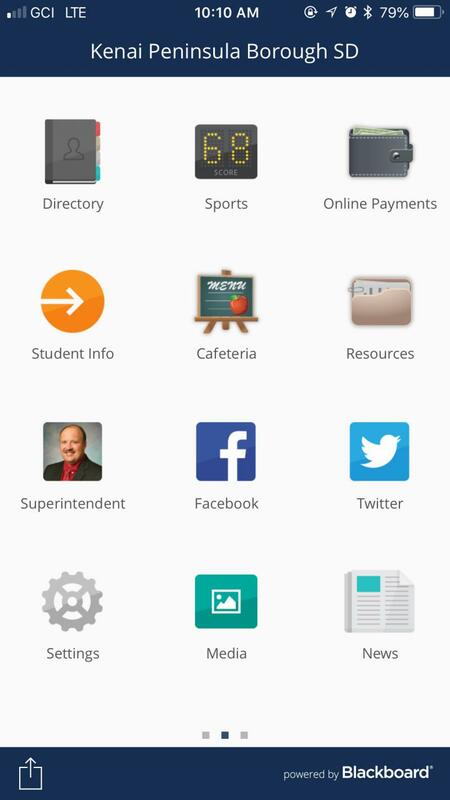 Superintendent Sean Dusek took to Facebook Tuesday night, as he does regularly to field questions about the district, and began with some comments about the district's budget picture. On "Local Science" Friday we welcome the Kenai Peninsula Borough School District's Pegge Erkeneff, Eric Soderquist, and Jake Doth as we discuss the technology the district uses to in the central office, in the schools, and in the cloud to connect teachers with students, parents with educators, and administrators with the public. The Kenai Peninsula Borough School District and the Kenai Peninsula Hockey Association are facing charges related to sexual abuse committed by a former hockey coach. 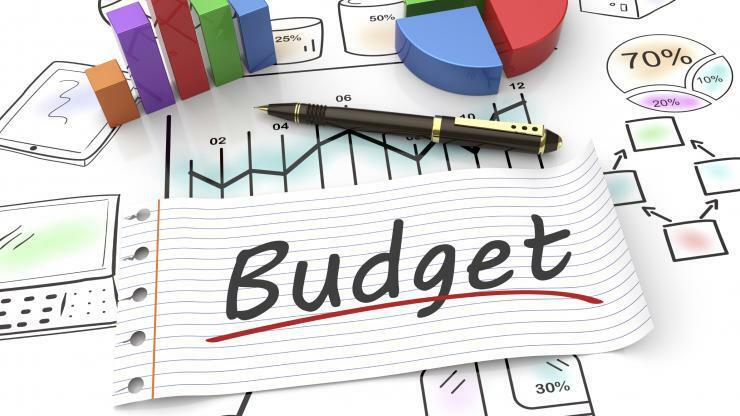 The Kenai Peninsula Borough School District has been working on the 2019 budget for months, but now it’s out of the district's hands. 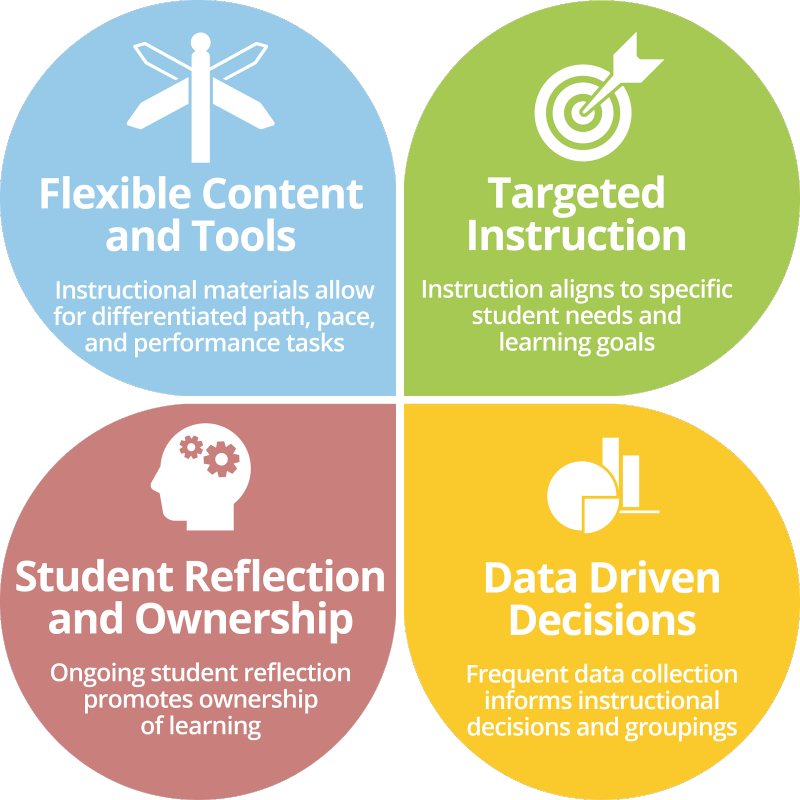 Personalized Learning is more than a buzzword for the latest fad in public education. This week on the Kenai Conversation, KPBSD Director of Elementary and Secondary Education John Pothast and district Communications Liaison Pegge Erkeneff, tell us about how Personalized Learning is being rolled out in classrooms across the district and what the expectations are. There was another school shooting in America today (Tuesday). Two students in a Maryland high school were injured when their 17-year-old classmate opened fire with a handgun in a school hallway. It's just the latest in an increasing trend that has seen hundreds of thousands protest a lack of gun control nationwide. The Kenai Peninsula Borough School District is eying a $1.3 million to $2 million budget deficit next school year. Much of that will be covered by the district’s reserve account. But the rest, depending on how state and borough funding shake out, could mean cuts in the classroom. Ahead of Tuesday night’s meeting, the Kenai Peninsula borough assembly and the school board got together for a joint work session on the school district budget. The annual process of putting together the Kenai Peninsula Borough School District budget is underway. Workforce development on the Kenai Peninsula, with Cathy LeCompte, director of the Alaska Vocational Technical Center in Seward, Sean Dusek, superintendent of the Kenai Peninsula Borough School District, and Gary Turner, director of Kenai Peninsula College. This past spring, students around Alaska took the state’s new standardized test, the Performance Evaluation of Alaska Schools, or PEAKS. The school district is getting a jump on budgeting for next year, and it’s starting out on a low note. The Kenai Peninsula Borough School District is bracing for the loss of about 100 students from its projected enrollment this year. That will mean more than empty seats on the bus or fewer sandwiches in the lunch line. Since most state funding is allocated per student, that means less money than the district expected for next year’s budget. Though this school year is only a couple of months old, the Kenai Peninsula Borough School District is getting a jump on planning next year’s budget, and wants the community to help. The district is holding community budget meetings at 22 schools at 5:30 p.m. tonight. Superintendent Sean Dusek will give an overview of the budget via teleconference, then each site will go into more detail about that school’s budget. Sterling Elementary School was in lockdown mode Friday afternoon after video footage showed a male intruder pulling a fire alarm and hiding in a restroom. No one was hurt in the incident and the man was arrested by Alaska State Troopers.